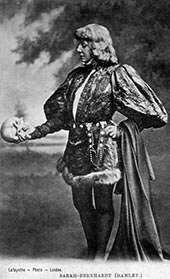 The Tragedy of Hamlet, Prince of Denmark, often shortened to Hamlet, is one of the most powerful tragedies in English literature and is laden with some of the most popular lines ever written. Some have become English proverbs while some are often used by people in conversations. 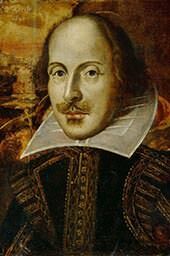 Here are 10 most famous quotations from Hamlet written by the world’s greatest dramatist, William Shakespeare. These lines are spoken by Polonius while he reads to Gertrude, Hamlet’s letter to Ophelia. The lines simply mean that doubt whether stars are fire; or the sun moves across the sky; or truth itself be a liar; but never doubt whether I love you. This is part of fatherly advice given by Polonius to Laertes. He is telling his son not to borrow or lend money. When you lend money you often loose not only the sum but the friend to whom you lend it. While borrowing money ‘dulls the edge of husbandry (economic money management)’, i.e. it makes you live outside your means. This is Hamlet’s first line in the play. He is replying to Claudius who refers to him “my cousin Hamlet, and my son.” Hamlet is saying that Claudius is more than kin as he is now not merely his uncle but also his stepfather. ‘Less than Kind’ can be interpreted in multiple ways; as is often in Shakespeare’s plays. It might say that Claudius is not a blood relative (kind: belonging to same class or character); and it might refer to Claudius’s unnatural lust (kind: natural); and it might imply that Claudius is inconsiderate in marrying his brother’s wife so soon after his death (kind: considerate). Claudius says this line to Gertrude while pretending to be concerned about Ophelia. It basically means that when bad things happen they don’t come one at a time like an enemy spy but all at once like an army. A more recent expression equivalent to it would be: ‘It never rains but it pours’. Brevity means concise and exact use of words in writing or speech. With time, this famous quotation has become a standard English proverb. This line about the relevance of perspective is often quoted in real life. It is said by Hamlet after a difference of opinion with the King’s yes men. This quote is spoken by Polonius to the audience while having a conversation to Hamlet. He thinks that Hamlet is acting mad due to his love of Ophelia. This is ironic because the actual ‘method’ to the madness is that Hamlet is pretending to be mad as a plan to take revenge for the murder of his father. Perturbed by his father’s death, Hamlet speaks these lines to his friends. 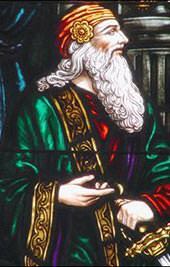 He first glorifies a man by praising his reason, faculty, form, movement etc. and calling him the perfect animal. But then he adds that to him humankind is merely dust. The quotation has been referred to umpteen times in films, serials etc. and is considered one of Shakespeare’s greatest. This is part of fatherly advice given by Polonius to Laertes. It simply says that the most important thing for a person is to be true to oneself. 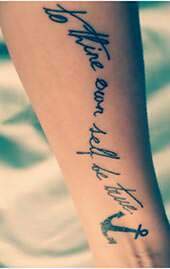 The phrase has become so popular that many people have printed it on their body as a tattoo. One of the most used quotes in the English language it is part of the famous soliloquy by Hamlet on the moral legitimacy of suicide in an unbearably painful world. This is the starting of the soliloquy and Hamlet wonders: to live or not to live.